As reported in the Federal Register on July 2, 2014, the DEA is rescheduling tramadol as a Schedule IV controlled substance. Manufacturing labeling "CIV" and pharmacy inventory requirements will be effective Aug. 18, 2014. Efforts to place the pain medication in this category came after the Assistant Secretary of the HHS and the DEA performed evaluations and analyses of abuse potential, medical use and dependence liability. Anyone who handles tramadol must abide by registration, disposal, security, labeling, inventory, recording, reporting, prescription, importation/exportation and liability requirements for Controlled Substance Act (CSA) schedule IV regulatory controls following the effective date of Aug. 18, 2014. The leadership of the pharmacy profession has continually pounded the drumbeat of "clinical" pharmacy for the past four decades. 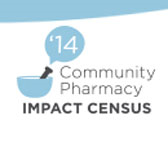 Pharmacists have been encouraged to improve their clinical skills and expand their use of ancillary help. They have been discouraged from being mere dispensers of medications. Now that 40 years have elapsed since I entered pharmacy school in 1974, let's take a look at how this vision has manifested within the profession and the education of our student pharmacists. Two years after a deadly nationwide meningitis outbreak linked to a compounding pharmacy in Massachusetts, Gov. Deval Patrick on July 10 signed a law he said would address a "gray area" between state and federal oversight of the pharmacies. The measure includes new licensing and labeling requirements and steps up fines for violations of state rules. It also reorganizes the board that oversees pharmacies and requires the board's inspectors to be trained in sterile and non-sterile compounding practices. After a man threatened a New Berlin, Wisconsin, pharmacist with a gun, WISN 12 News investigates the new addiction putting pharmacists at risk. New Berlin pharmacist Bob Steib told WISN 12 News on July 10 he was trying to get caught up on filling prescriptions after being held up at gunpoint the day before by a customer who wanted his oxycodone script filled. "I've been doing this for like, what is it, 28 years, and I've never been robbed, never had this kind of thing happen," Steib said. When you go to the doctor's office, you expect your healthcare providers will prescribe drugs that will be effective and safe in treating your diagnosis. But which drug is best for treating your disease or medical condition? You rely on your physician or PA to make this determination. You also rely on your healthcare providers to have the treatment available on their formulary. And lastly, you rely on your insurance company to pay for your treatment of choice. You would expect them to make these determinations based on the best available clinical data and published medical literature. But what is the best available data? CVS announced it would limit the sale of some medicines containing pseudoephedrine, but one local Kentucky pharmacy has another policy to prevent medicine intended to treat colds from becoming a hot commodity to make methamphetamine. At Rx Discount Pharmacy in Hazard, Kentucky, nobody gets medicine containing pseudoephedrine without a prescription. "We could better serve our patients requiring a prescription," said Richard Slone, the pharmacy's owner. The Missouri Department of Mental Health's decision to approve a pharmacist for the role of psychiatric care provider has enabled an assertive community treatment team to serve clients more efficiently, according to the team leader. "There's no way we could get our clients the kind of close psychiatric attention, medical attention, that they would need without her — no way," said Nicole Morani, leader of the Places for People–IMPACT Team in St. Louis. Caraco Pharmaceutical Laboratories, a subsidiary of Sun Pharma, has initiated recall of some lots of Venlafaxine Hydrochloride extended-release tablets from the U.S. market. Venlafaxine Hydrochloride extended-release tablets are indicated for the treatment of major depressive disorder. They claim to be safe, low-cost alternatives to traditional pharmacies. But Internet drugstores and so-called "facilitators" — brick-and-mortar locations that place orders for consumers wary of ordering drugs online — are not created equal. And some of them readily acknowledge that. FDA and MannKind Corp. on June 27 announced the approval of Afrezza inhalation powder, a new rapid-acting recombinant human insulin formulation. Afrezza is intended for preprandial use in patients with type 1 or 2 diabetes and is not meant for use as a long-acting insulin, according to the product's labeling. Small print and poor printing on prescription labels handed out by pharmacists may be misread and may lead to errors in taking medication, according to new research by the University of Waterloo and Canadian National Institute for the Blind. The study, published recently in the Canadian Pharmacists Journal, found that labels on prescription medications dispensed by pharmacies do not consistently follow professionally recommended guidelines for legibility. An investigational medication shows promise in treating the most common skin disorder, often referred to as eczema or atopic dermatitis, according to a study published July 9 in the New England Journal of Medicine. The findings could eventually bring significant relief for many who suffer intense itching and other troubling features of atopic dermatitis, according to the study's lead author Dr. Lisa A. Beck, professor of Dermatology and Medicine at the University of Rochester Medical Center. A drug used to treat Parkinson's disease could also help people with phobias or post-traumatic stress disorder. Scientists of the Translational Neurosciences Research Center at Johannes Gutenberg University Mainz are currently exploring the effects of psychotherapy to extinguish fears in combination with L-dopa. This drug does not only help movement disorders, but might also be used to override negative memories.